Spring is here and we have been busy. It is fun to watch the cows and sheep transition from hay to grass. I think they look happier out wandering the pasture. I have started planting in the garden and have lettuce, kale, beets and peas started. 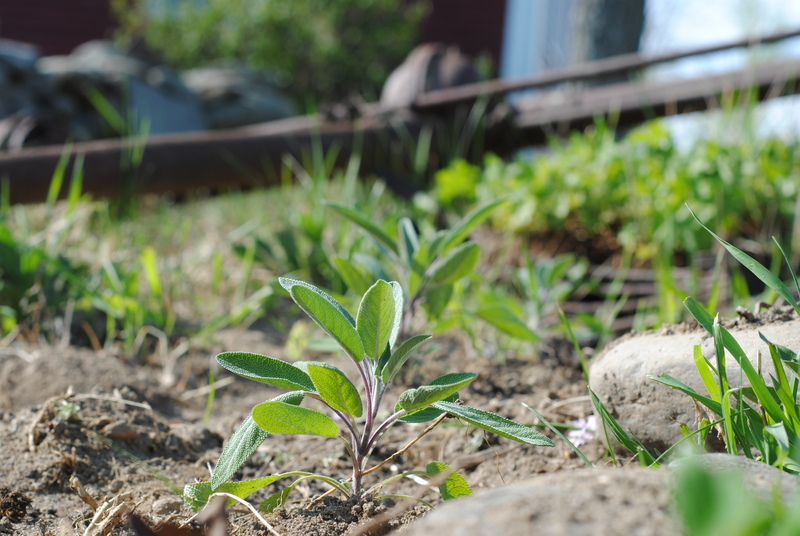 I tried something new this year and have put my herb garden against the stonewall that connects the house to the barn. 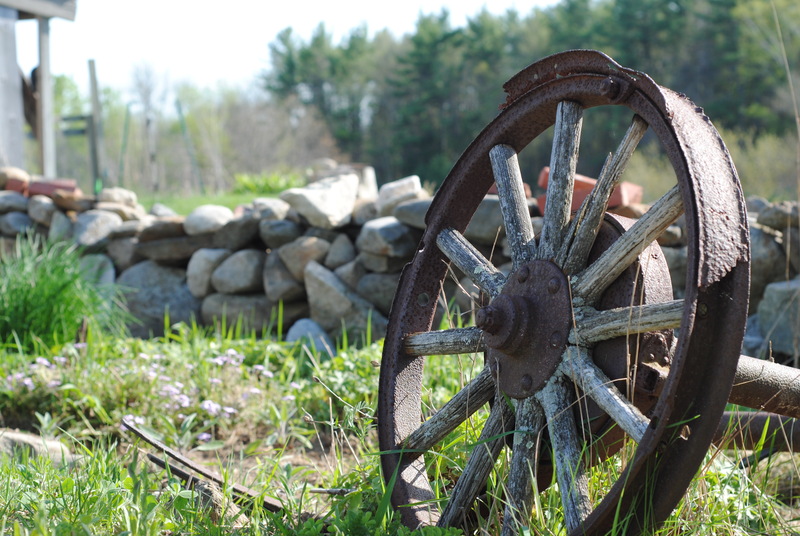 It was the sight of an old shed that had to come down several years ago and before that according to the history of Goffstown was the site of the county poor farm. This is how the town supported the homeless. We had many interesting artifacts but most has been lost to age and weather. I wonder as I unearth old nails and sometimes utensils and move rocks what stories they could tell. Last October we planted daffodils on our bankings on route 13 or Pattee Hill Road also known as John Stark Highway. 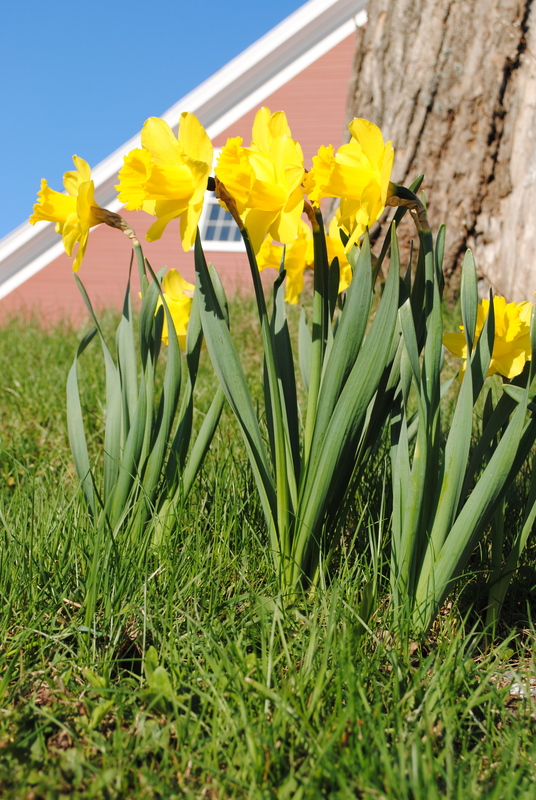 This effort to plant daffodils along the highway and in the towns has been encouraged by both Goffstown and Dunbarton . As Dunbarton plans for their 250th anniversary in 2015, they would like to have everyone in the spirit. Dunbarton Garden Club sells the bulbs in the fall. We are never sure when we plant in October if those bulbs will turn into beautiful flowers 6 months later, but they did and are magnificent spots of sunlight as you drive on route 13 headed north. Our first daffodil blossomed on April 21 with many more blooming in the days following. We are going to keep an annual record of the first bloom in our yard. This is a new tradition we started this year and what better way to keep a record then here. Oh, and if you are going for a walk, the black flies have started to come out (not to mention ticks! ).